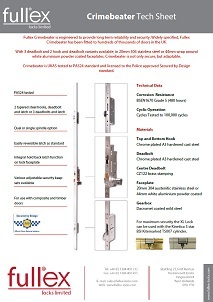 Fullex Crimebeater is engineered to provide long term reliability and security. 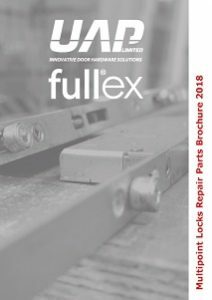 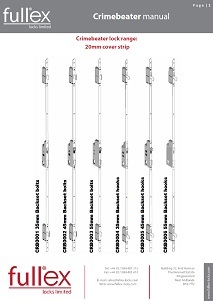 For use on composite and timber doors, it comes in dual spindle and is available with 3 different backset sizes (35mm, 45mm and 55mm) for long backplate handles, meaning it will fit on a wider range of doors. 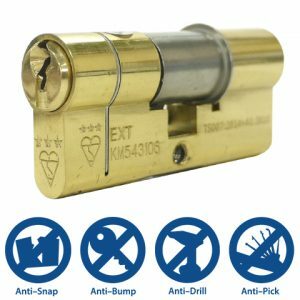 Each Crimebeater lock has 2 options, either with two tapered steel hooks, a deadbolt and latch or with three deadbolts and latch. 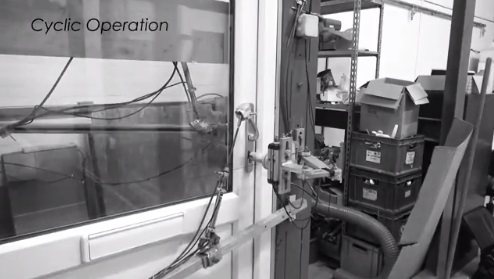 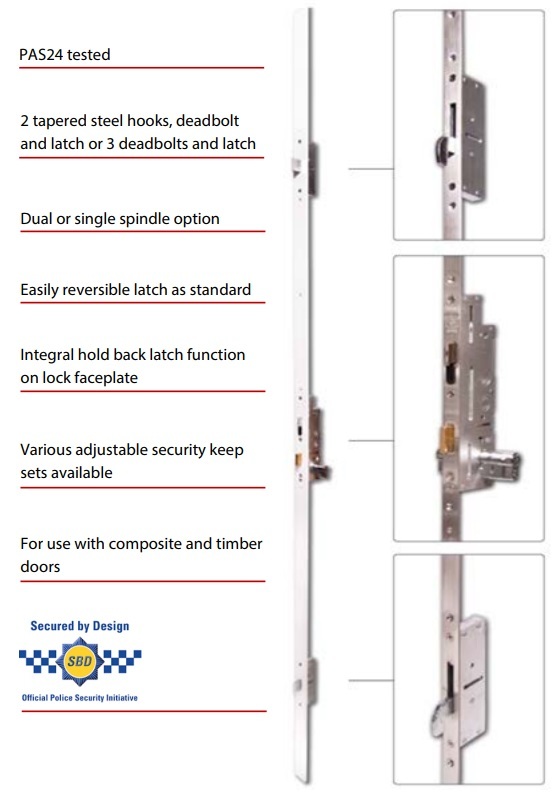 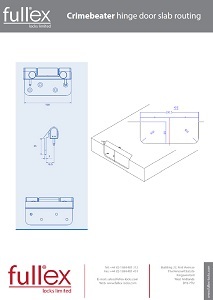 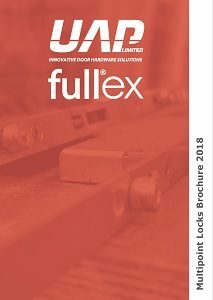 The faceplate on the Crimebeater is either 1720mm by 20mm in stainless steel (for composite and timber doors), or 2100mm by 44mm in white aluminium (for composite doors only), giving peace of mind to hard pressed fabricators and consumers.